'Kilty' suede moccasins in Taupe by Minnetonka. 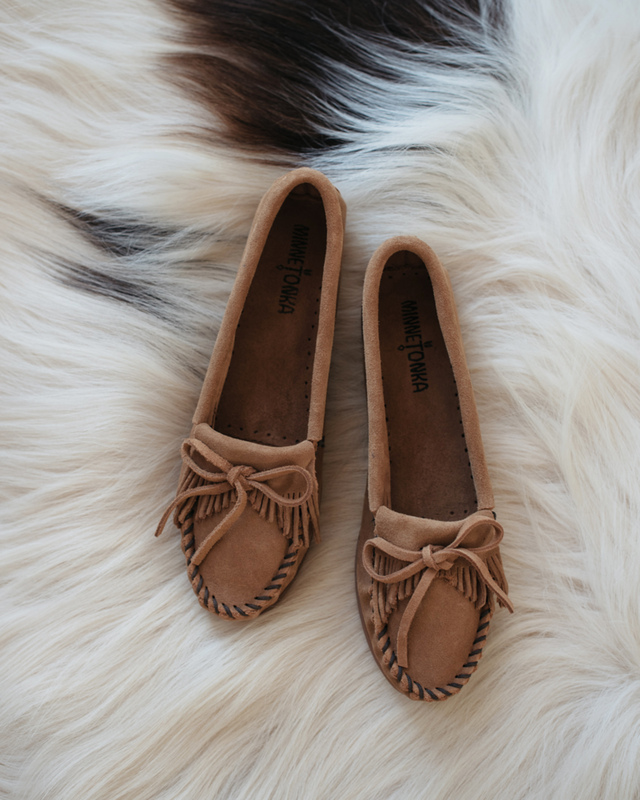 Perfect for the California mood and weather: Minnetonka moccasins. I have always loved how Kate Moss styles the boots and booties but in my closet I only know the loafer style. It is made of suede with a rubber outsole and it is so comfortable I wear it all the time. Probably more than any other shoe. $45 per pair, money well spent.